I love living in the country. We have a little piece of property that suits us just fine. It’s not too big that we can’t maintain it and it’s not too small so we can enjoy some privacy and some fruit trees and bushes. 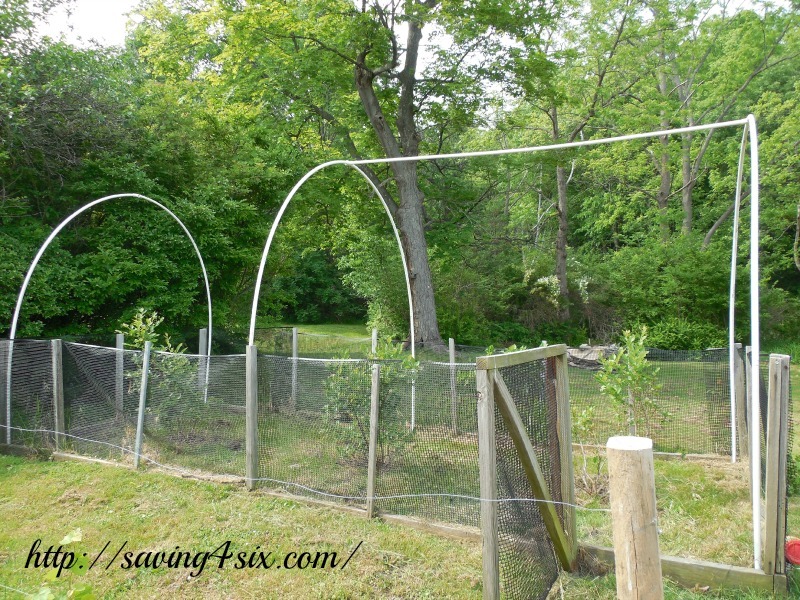 Right now, we have a couple pear trees that are surviving, a grape vine that is just a couple years old and doing well, and three blueberry bushes. My parents got me the blueberry bushes a few years back because I always love going to their house and picking blueberries, so they decided to get me my own. 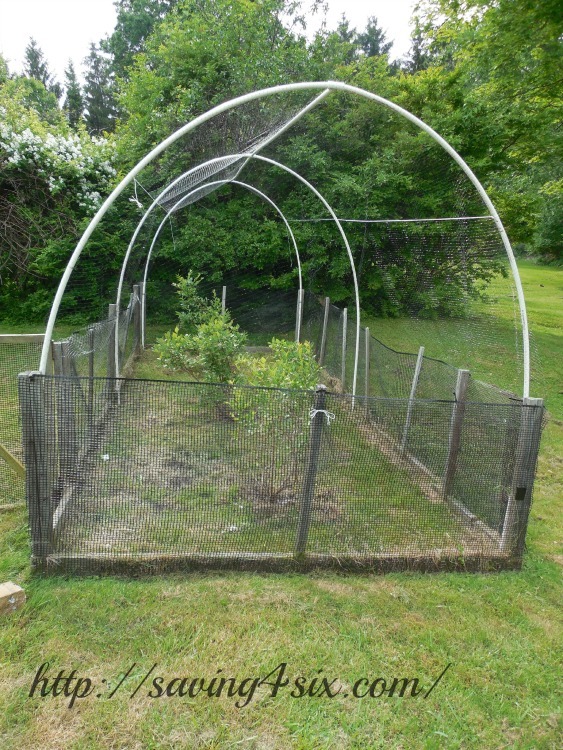 I showed you a few years ago the tremendous amount of blueberries they get and how they protect their bushes from the wildlife around them (you can see that post HERE), but today I’m going to show you what we did to protect ours while still having easy access to pick our ever-growing bounty of blueberries. 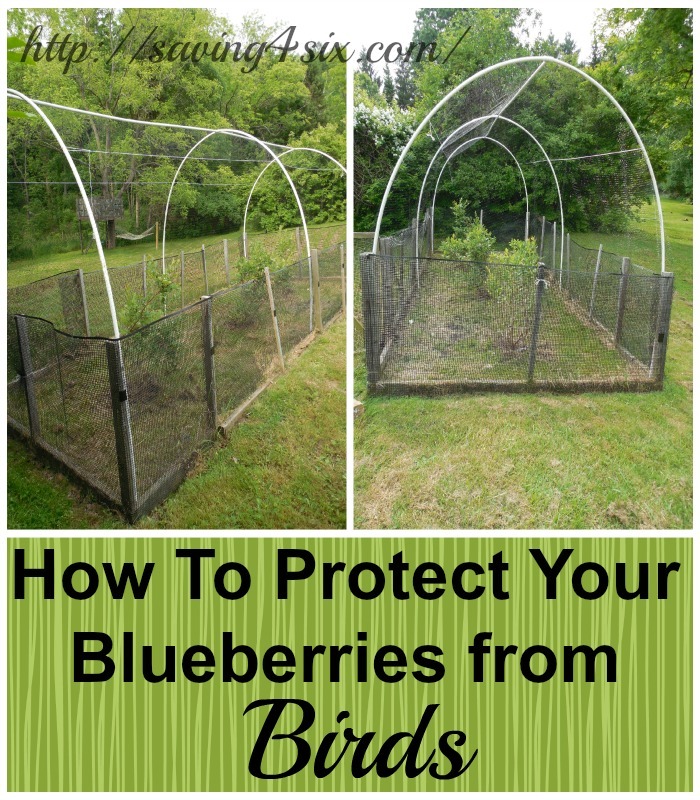 We already had our blueberries fenced in to keep out the deer that use our yard as a highway, but the fence did nothing to keep out the birds last year, and we lost most all of our blueberries to them. 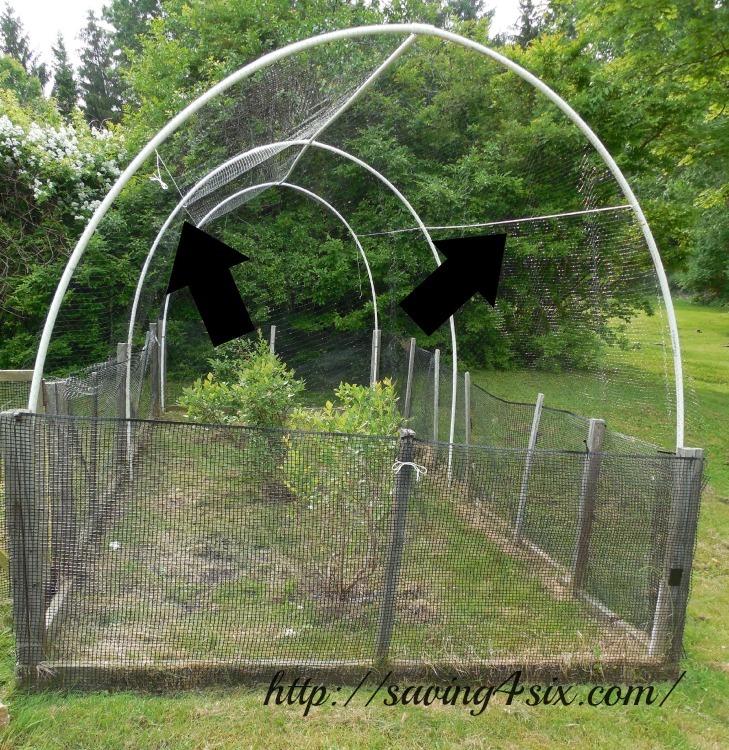 We slid a piece of 1/2 inch pvc over each of the steel rods and attached them at the top with a PVC-T.
We did screw the PVC-T to the two pieces of PVC. This gave it more stability. 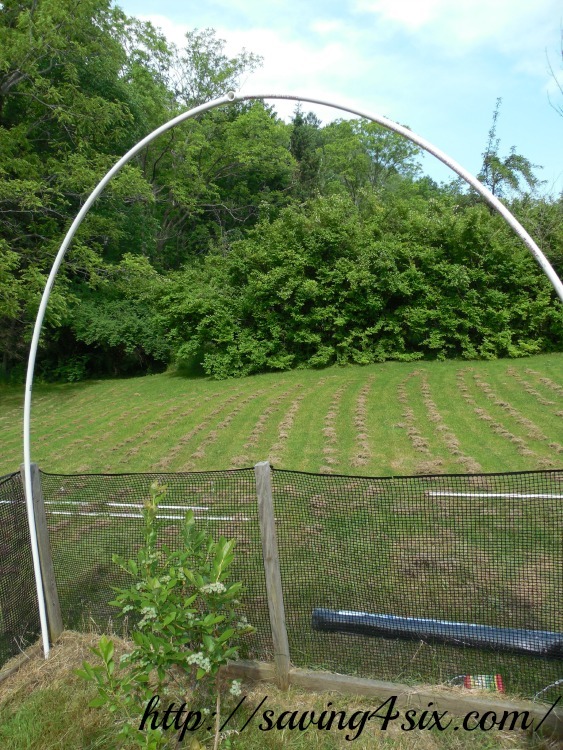 We made these 1/2 circles of PVC at both ends of the fencing and in the center. 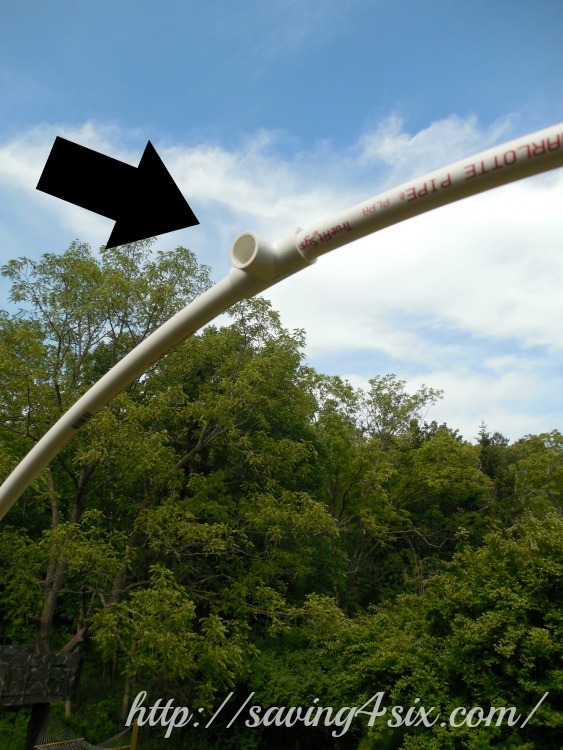 We connected our three 1/2 circle pieces of PVC with an additional piece of cut-to-size PVC and attached it to a four-way union in the top of the center 1/2 circle. Once all our PVC pieces were connected, it was time for the netting. 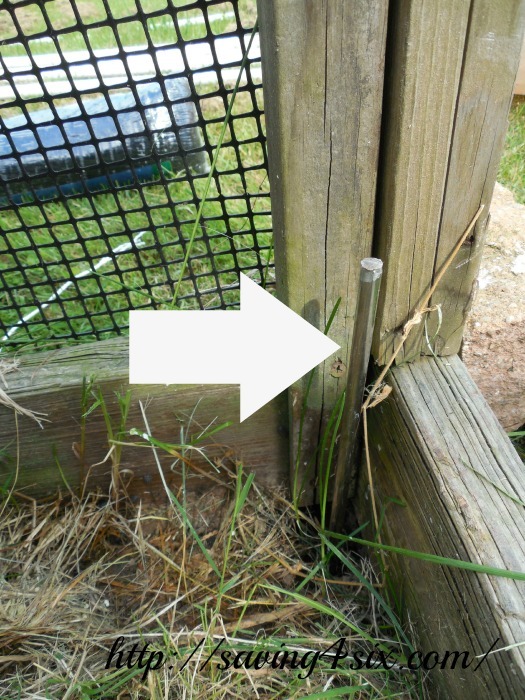 We carefully covered the 1/2 circles of PVC and then with string and gorilla tape, attached it to the fencing that was already there. The bird block netting was sagging a bit at the top so My Better Half (who is much taller than me) tied strings from one end of the dome to the other. 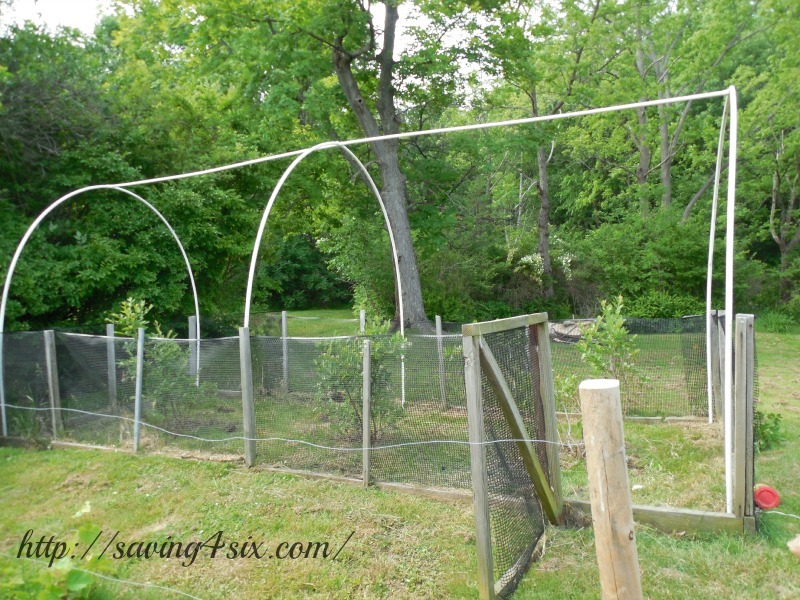 You can also see in the above picture how we tied the netting to the existing fence. 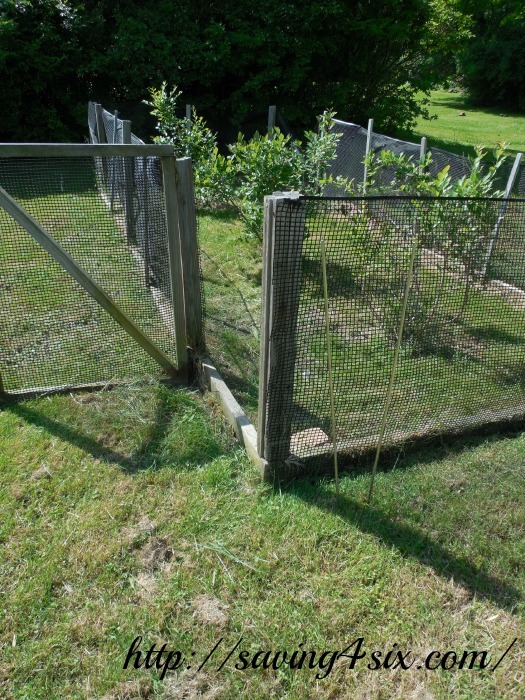 I can still access my blueberry bushes through the gate. I just move the brick laying in front of the fence and gently lift up the netting and pull it back down after me. This prevents any birdies from flying in after me. I’m so excited to actually be able to get some blueberries this year. This $50 fix was cheap, easy, and will allow me to have some new blueberry recipes for my family in the future! 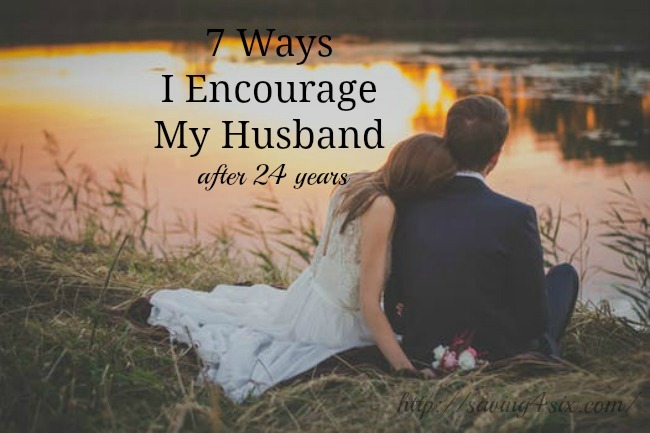 If you desire to grow your know-how just keep visiting this website and be updated with the most recent information posted here. I’m fascinated with your Blueberry Cage. 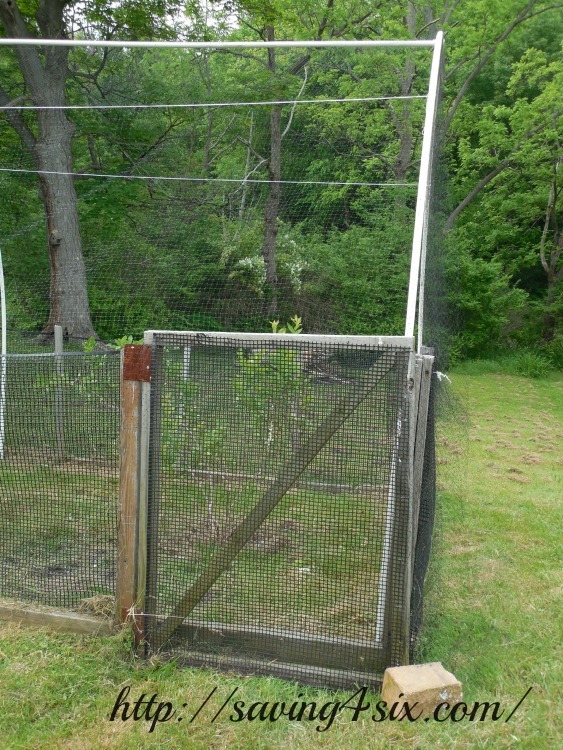 Very nice work and easy Would you mind telling me the dimensions of your cage and how it’s working out for you?